Anyway, a week or so ago, I thought I’d take a few photos of some of the pretty, vibrant leaves outside my window before fall said farewell. Within days, the weather took a turn for the worst and the wind came, whisking all that color down to the ground. It seems like once the leaves fade and Halloween has come and gone, my mind tends to skip right over Thanksgiving on towards Christmas. Maybe it’s because it’s my favorite holiday…I don’t know. At any rate, all of the things that I want to do for the season start popping into my head and I start making plans. Because it’s such a busy time of year, most of them never actually become a reality, but it’s nice to dream a little, right? I’m already thinking about my Christmas color scheme and whatnot and have made a few purchases with it in mind. Last year I went with neutrals, so this year I’m leaning towards red and white…maybe a Scandinavian type thing. Do you have any plans in the works yet? I have a few posts planned for between now and Christmas, so I guess we’ll just see where my ideas go. Well, that’s all I have for today. Oh, goodness, your fall is simply spectacular! We are just seeing signs of fall here. It'll never be this vibrant though. Beautiful photos! your photos certainly capture the feeling of awe you express, incredibly beautiful. i am still trying to get outdoor projects done before the snow flies, so no thoughts of christmas yet, altho my daughter and i did listen to christmas music the first day the snowflakes arrived. happy planning! These are so beautiful Tricia!!! Love, love, love what your eyes and lens have captured here! I am excited about Christmas too and am moving towards that now. All of it looks so beautiful! Ooooh, such wonderful colours and light! That's just what I need today!! The colors are beautiful! Seems like Fall was over too quick here too. Trying to enjoy the season….what is left of it. Hope all is well. I really do love autumn!!! 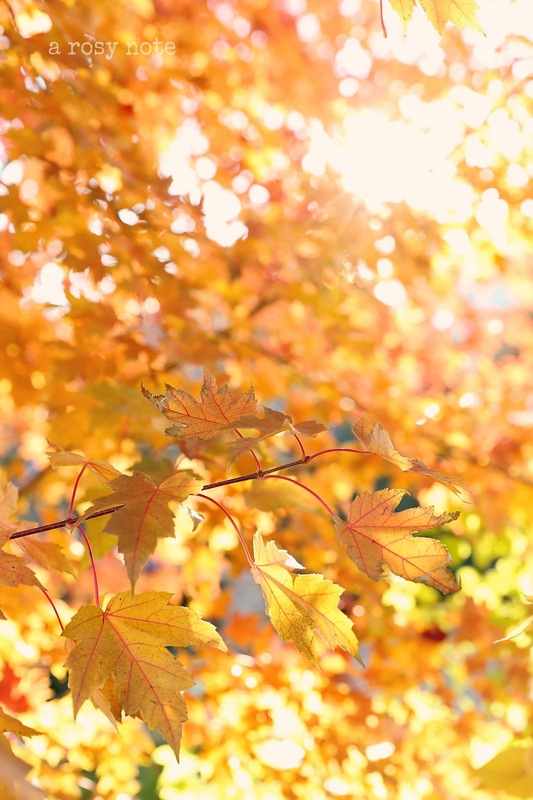 Especially when the sun is shining and we can enjoy the wonderful colours of leaves as shown in your great photos! Unfortunately, we had already some heavy storms so that we only have a few leaves left in the trees! Amazing captures Tricia! Gorgeous! I loved reading that you are as weird as I am :))) I have always wondered if others felt that way at times too, and now I know. Since you are such an amazing photographer, it doesn't surprise me that you notice so many things around you. I think all artists whether they are painters, photographers, decorators and such, notice things that slip by a lot of people. Don't you feel blessed in life to 'really' see? I'm thinking about how to decorate for the season too this year. We'll see how it all comes together. I can't wait to see yours. It's too bad the gorgeous fall colors are so fleeting, but I guess that's what makes them so special. Our leaves are long gone and the perennials I didn't get around to cutting back will be food for the birds this winter. I'm hoping to finish painting our living room so I can get a head start on Christmas decorating. I can't wait to see how you decorate yours! Have you been to the Round Barn in Andover? We stopped there last Thursday on our way to our daughter's house. Gorgeous! Yes! I have so many ideas for holiday decorating, but can't decide what I want to do. Can't wait to see what you come up with. when I look at them. That last photo is especially fabulous (all of your photos are, though), with that beautifully focused cluster of leaves on the golden background! such amazingly beautiful photos…love the wind-fall apples with the leaves, so lovely. Just gorgeous! The photos are just stunning! these may just be my most favorite photos you have done! 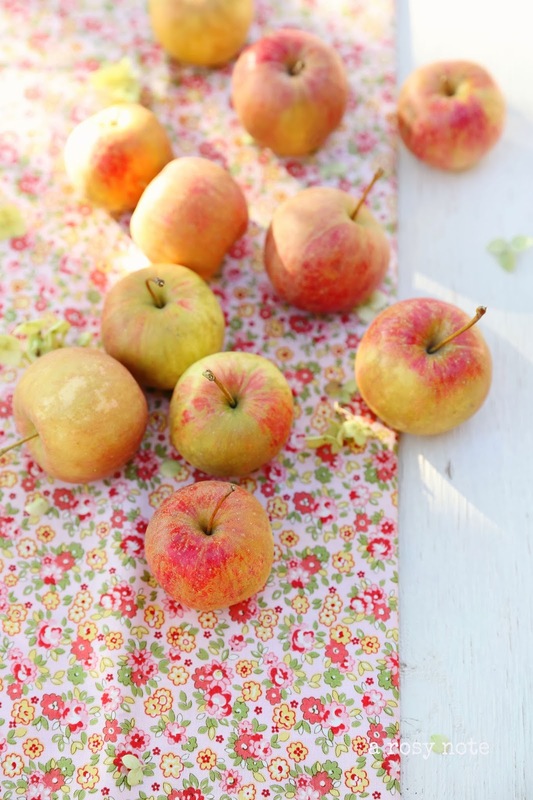 the apples look so sweet on that pretty floral fabric. i am always awe inspired at how in the midwest, each fall/winter everything fades and dies, then comes back in the spring like a little miracle! WOW …stunning photogrpahy…beautiful images of delightful colour! love how you arranged those apples with the fabric next to the textured wood. Tricia, your photographs are always so beautiful. It is indeed time to begin thinking about decorating, and it's something I always look forward to. Ours is always much the same theme. Memories of my childhood, and now my children's memories. Have a wonderful weekend, my friend! xo. Fall is indeed so beautiful! I love all of your gorgeous photos so so much! They bring out the best in the season. Christmas is also my all time favorite holiday season! I love everything about it and i am in Christmas mood already loool Have a beautiful weekend and love to you! Your autumn photo images are absolutely stunning. Those yellow leaves with filtered sun – WOW, spectacular! Beautiful photos, really captures the colours of fall. difference when I got back. Winter feels like it is here! Hi Tricia! Ohhh such beauty! I really miss the Fall season up North, although we have had out ups and downs but nothing like those glorious colors! The apples look so pretty on that fabric too, just beautiful. I'm getting excited about decorating for Christmas too, and it seems like anymore my Christmas colors change every year too lol No tradition here at my house hah but of course I can never do without my red. I can't wait to see what all you're dreaming up! Fall was far too fleeting around here 🙁 We have snow, no leaves, and I'm in full Christmas mode. Fall is my favorite season, so this is bittersweet, since I'm also a Christmas nut. I am so on board with the Scandanavian look this year. I used more red in white this year, and I'm loving it! Coming and visit you, watch your lovely pictures and read your posts is always a great pleasure to me Tricia! Well your thoughts may be jumping ahead to Christmas but your fall images are stunning!! I agree! Fall is too short. Only for us it's mostly because the weather has been in the 70 or 80's until last week when we got a little drizzle of rain. And so soon it will be December! I only wish I could see a fall like yours. So beautiful! Such wonderful, wonderful bright colours and light. That season has well passed over here so it's nice to look back. Fall is such a beautiful season.. And you captured it perfectly.. Such pretty photos. 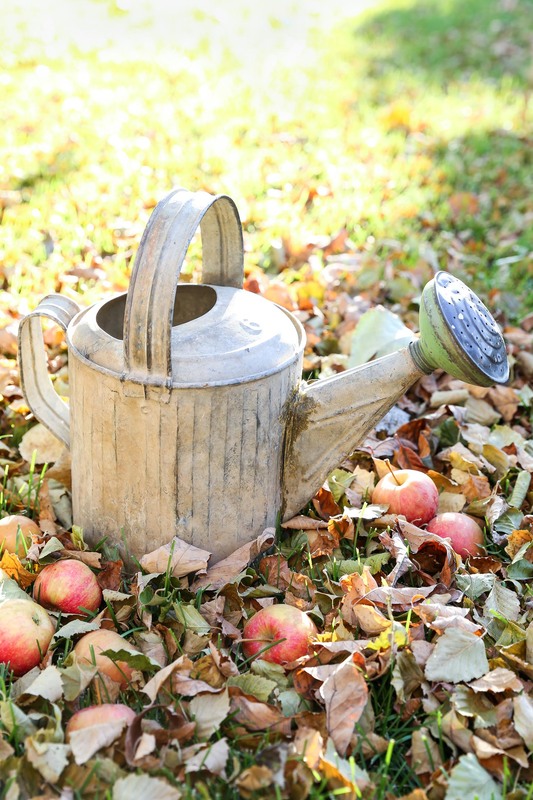 Loving your fall photos and can't wait to see your Christmas decor! Beautiful!! 'Hope you're doing well. Happy new year, Tricia.